Kalidas Jayaram malayalam actor profile and biography is given here. Kalidas Jayaram is another star kid to make a debut in the world of Malayalam movie cinema. He is the son of megastar Jayaram and yesteryear actress Parvathy. He made his debut in the industry at the tender age of 7 years in a movie Kochu Kochu Santhoshangal. His performance in his second film titled Ente Veedu Appunteyum fetched him the National Award for the best child actor. Kalidas Jayaram is an upcoming actor in the Malayalam movie industry. 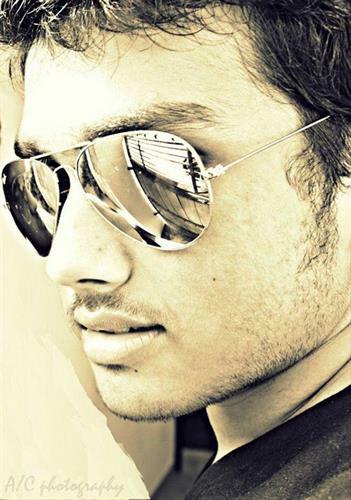 He is the son of famous movie star Jayaram. He was the national award winner in the child actor category for his performance in the movie Ente Veedu Appunteyum. As a child artist, he had also acted in the movie Kochu Kochu Santhoshangal. Since he was aspiring to be an actor like his father, he took up a degree course in Visual Communications from Loyola College in Chennai, the capital city of Tamil Nadu. He is still doing the degree course at Chennai. Kalidas Jayaram was born on December 16, 1993 to a star couple from Kerala. His father's name is Jayaram and mother's name is Aswathy (Parvathy). He has a younger sister who is doing her 12th standard in a reputed school in Chennai. Her name is Malavika Jayaram. He was born and brought up in Ernakulam, the commercial capital of Kerala. He had his formal education at a reputed school in Ernakulam. Later, he was shifted to Choice School, one of the reputed schools to offer higher secondary education in the city, to complete his higher secondary education. After successfully that, he continued in the same school for his plus two course. During his school days, Kalidas Jayaram was interested in acting. So, he participated in various drama competitions taking place at the school level and won several accolades for the same. When he was 10 years old, he got a chance to act in a film along with his illustrious father Jayaram. The film was Ente Veedu Appunteyum. The film was recognized at the national level. For the performance in this film, he got a national award for the best child actor in the year 2003. After coming into limelight with the success of his first movie, he became busy staging various performances. Yet, he could divide his time judiciously between his first love acting and education. Hence, he passed with flying colors his plus two examination. After the completion of his plus two course, Kalidas Jayaram joined in Loyola College, Chennai, for specializing in Visual Communications at degree level. Though born in a star family, he was not sure of the art and science of film making. Hence, he decided to join for a degree course which offers him ample opportunities to explore the film making. That is the reason he moved to Chennai to learn the Visual Communications course at reputed educational institute Loyola College. He is in the third year of the degree course, busy with his project formalities to wrap up his course. Kalidas Jayaram took the plunge into the world of Malayalam cinema at the tender age of 7 years when he acted in his maiden movie Kochu Kochu Santhoshangal as a child artist. The film was liked by the people of the state. As a child artist, it was his impressive debut. The film was directed by ace director of Mollywood Sathyan Anthikad. In this movie, he co-starred with his illustrious father Jayaram, Lekshmi Gopalaswamy, Kavya Madhavan, Bhanupriya, Innocent, Lalu Alex, etc. This was his first movie with his father. This film bagged the National Award for the best feature film in Malayalam in the year 2000. Kalidas' second film was Ente Veedu Appunteyum. In this film also he acted along with his illustrious father Jayaram. This film was directed by another ace director of the Malayalam movie industry Sibi Malayil. Due to the huge commercial success of the movie, it was remade in Tamil language as Kannadi Pookal. In this film, apart from him and his father, actors like Jyothirmayi, Sanusha, Siddique, KPAC Lalitha, etc. have also featured in different roles. The film music was scored by Ouseppachan. Since the date it hit the screen, it was drawing a huge audience to the theatres. This film was released in the year 2003. The film was recognized at the national level, when young Kalidas bagged the National Award for the Best Child Actor for his performance in this movie. After this movie, he took a break from acting to concentrate on his studies on the advice of his parents. After a long break, he is going to stage a comeback to the field of acting by featuring in an advertisement film. On retrospection of his own life so far, Kalidas opined that cinema had taught him what school couldn't offer him. He further added that he learned from his father the importance of punctuality and dedicated efforts while watching him perform at shooting locations. He further elaborated that he had tried to emulate and follow the love and dedication his father had shown all these years in his chosen profession of acting. Kalidas was impressed with the way his father would start his day at work and home. According to the budding actor, his father would wake up with the excitement in his eyes as if he was going to act in his first movie of his career. From this observation, the younger Kalidas had drawn an inference that things would not go bad when the hero did what he loved to do. Echoing the sentiment of his father, Kalidas said that the cinema was his chosen profession, and bread and butter of his life. Apart from the love for cinema, Kalidas Jayaram has an ardent love for food. He loves kothu paratta prepared at the Velu Military Hotel and masala dosa prepared at the Saravana Bhavan hotel. When he frequently goes out for dinner outing with his family, he makes it a point to visit one of the places like this. While having food, Kalidas, his sister and his mother constitute deadly combination. They love munching and savoring the taste of all types of food, ranging from South Indian cuisines to Continental food. He also loves to watch movies with his family. For this purpose, he makes the itinerary for the late night dinners and picks up the best restaurants in the place after searching the net for their reviews. Kalidas Jayaram loves petting animals at his home. When he talks about pets, he becomes emotional about his elephant. His elephant Kannan passed away recently. He becomes vociferous when he talks about surprisingly calm Great Dane that guards his gates. At his sweet home, he has the accompaniment of many birds. With them, he chats when he is at home. He also loves to play with them and take their photographs. If one visits at his home, he will see the photographs of various animals adorning the living room of his house. Because of his love for pets and animals, he started photography as passion. Right from childhood, he accompanies his father to various scenic spots in different parts of the globe and took photographs of animals and birds living there. About a few days back, he and his father had returned from an African Safari. When they were touring different tourist spots and wildlife habitats of Africa, they took amazing snapshots of gazelles, hyenas, pelicans, wild elephants, etc. Whenever he gets free time, he goes to Thekkady, a wildlife habitat in Kerala, with his family to enjoy the wildlife out there. At the wildlife reserve, he likes to see and hear the sounds of animals and birds. Kalidas Jayaram is an upcoming actor in the Malayalam movie industry. He is the son of a star couple who occupied a prime place in the minds of people as an ideal on-screen couple. His parents' names are Jayram and Parvathy. He has got a younger sister whose name is Malavika Jayaram. He made his debut in the film industry when he acted in his maiden movie titled Kochu Kochu Santhoshangal. In this movie, he acted with his father Jayaram. His acting in the film was noticed by the big tickets in the industry. However, he rose to the stardom at the tender age of 10 years when he got a national award for his performance in the movie Ente Veedu Appunteyum. He got the national award for the best child actor. Kalidas was interested in acting from the childhood. That was the reason he took up the specialization of Visual Communications for his degree course. Currently, he is doing his project to complete the formalities of getting a degree. He is planning to make a comeback in the field of acting by featuring in advertisement film. At his home, he rears and pets animals. He loves to play with them and take their photographs. He is also an amateur wildlife photographer. Kalidas Jayaram's mimicry act at Vijay Award 2014 really stunned the audience. Actor Kalidas Jayaram's performance imitating actors Vijay, Surya and Ajith truly amazed even the stars who were a part of the award function. The grandiose show held at the Nehru Indoor stadium in Chennai was attended by celebrities and more than 10,000 people. The Vijay Award 2014 was telecast in the channel on 20th July.